My friend teaches 4th grade and she says the line of students at her desk in the morning that want to tell her something is practically out the door. 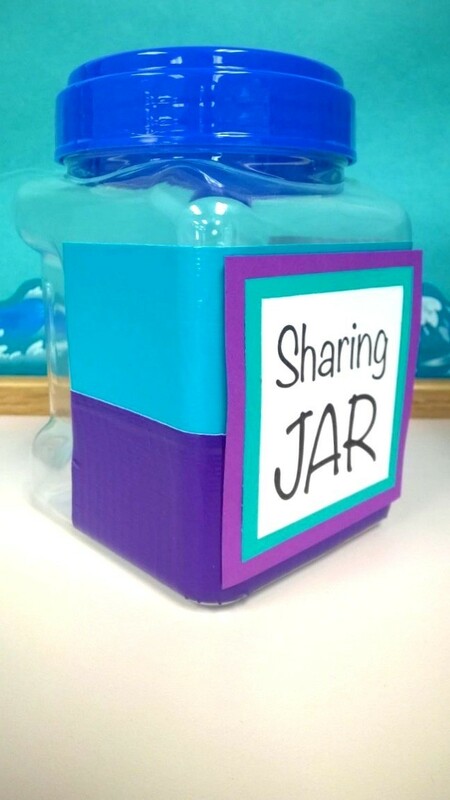 To avoid this she created a sharing jar. She put some colorful duct tape onto a plastic jar, to add some color. 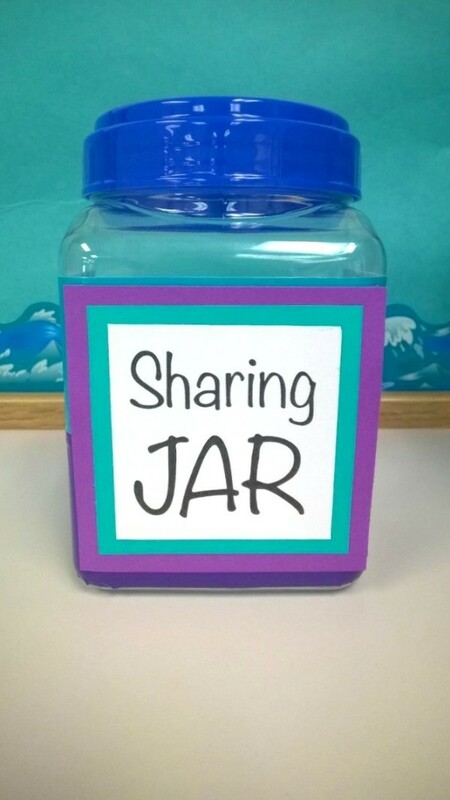 Then added a label that says "Sharing Jar". 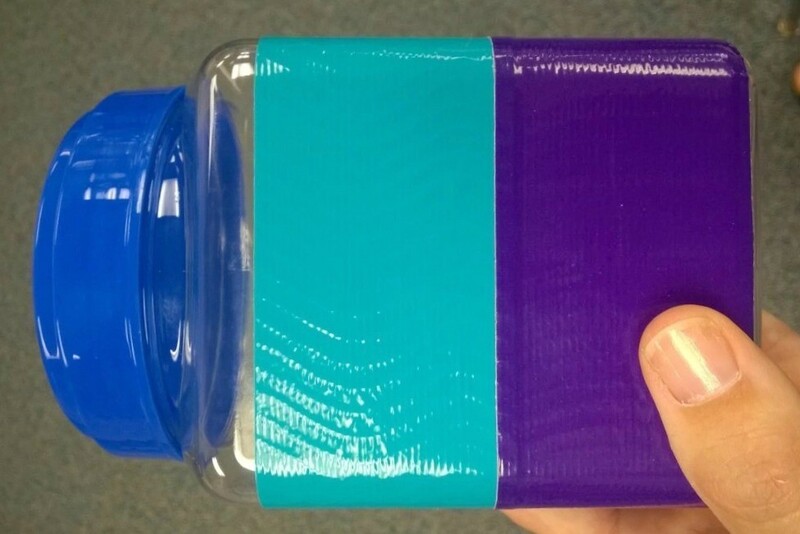 The label was created on the computer, printed on cardstock, and attached to some scrapbooking paper. Note: Another time saver could be to have all of the kids' names preprinted on slips of paper in a cup next to the jar. Then they can easily grab their name and reuse it each time. This reminds me of the 'Show & Tell' that we had as grade school students in the early 1960's... it was good then so I know it is really good now! Keep up the great work!